As we know, there are several shapes of eyes, each one according to a specific face. False eyelashes are no different. There are various shapes, brands, colors and bunch of them found in the market. Different false eyelashes offer different effect you want according to the occasion and the moment. One thing is true. Not all lashes are going to suit us. Not all of them will make our eyes look better if their shape and style are wrong. 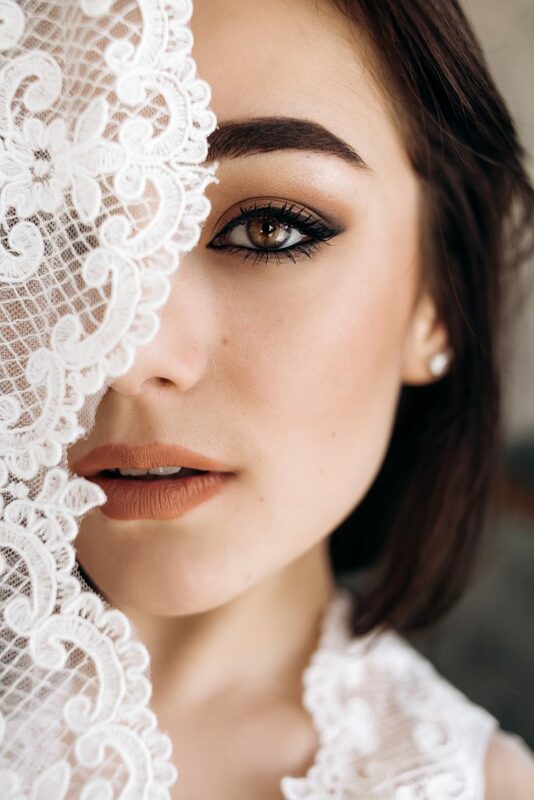 So, because it could be super confusing to find the best style, we have prepared this guide to help you find the right pair of falsies to flatter your eye shape, whether it’s small, hooded, almond or Asian. Small eyes should be highlighted, in addition to the perfect makeup for this eye shape. The eyelashes with very long tufts are disproportionate. They should be medium size, neither too bulky nor too long. Apply the eyelashes with tufts only in the outer corner. That way, it will also increase the shape of the eyes. For best final touch, apply pencil on the outside part of your eye close to the lower eyelashes. Illuminate the inner corners and the region close to the eyebrows. This will enhance the smaller eyes. People with hooded eyes usually have fallen eyebrows as well, which makes it more difficult to apply some tricks to visually open the eyes. We recommend you to use fuller medium size tufts and apply them on the outer corner. Combine with dark shadows, well-delineated to achieve the smokey effect. It is worth remembering that colorful and full false eyelashes should be used for this eye shape, especially for parties and events. If you see most of your iris, then you have round eyes. The rounded eyes, like the ones of Katy Perry and the twins Mary-Kate and Ashley Olsen are usually big and take a big part of the face, meaning, they draw a lot of attention. In order not to make them even more noticeable, apply eyelashes with tufts only at the ends. The effect will be natural and will lengthen the look. Just like the eyes of the actresses Lucy Liu and Devon Aoki, those eyes have flat eyelids and not much volume. To elongate and emphasize your eye shape, go for a pair of lashes that are longer on the outer edges. Make sure the lashes have plenty of curl and volume. False eyelashes make all the difference when it comes to an eye beauty. 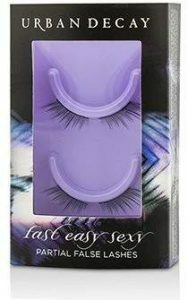 Whether for a party or exclusively to feel more beautiful, the false eyelashes are accessories that mark the eye and make a glamorous, feminine look. Every woman can take advantage of false eyelashes because there are plenty of choices for the most diverse eye shapes. Those with a standard size you will need to them cut to fit perfectly to the size of the eyelid. Among the models available on the market there are tufted and whole strip eyelashes. The tufted eyelashes are more discreet and are perfect to use during the day, but their application requires a lot of practice. Whole strip eyelashes are simpler to find and to put on. Among the integers, there is still a huge variety when it comes to the shape. We can find the ones with increasing size of the wires, the bulky ones and even the artistic ones, which are usually bigger and colorful. 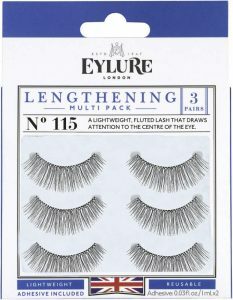 As for the length, both whole strip and tufted, the lashes can be short, medium or long. Another important aspect is the glue preference. It guarantees the fixation of the lashes and influences the finish of the makeup. The colorless glues used to be better, providing more natural final effect than the white and black glues. Before you go out beautiful, with your fake eyelashes, you need to do a test and see if the glue does not cause irritation. Anyone who has an allergy to makeup should be more careful and in worst cases prevent using fake eyelashes. 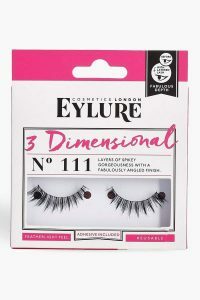 Although the durability of the glue is up to three days, the ideal is to wear the lashes for a maximum of 12 hours. Fake eyelashes are perfect to enhance the look, but certain care needs to be taken not to affect the health of the eyes. It is essential to pay close attention especially to the origin, quality, and validity of the products you will use. It is very important to be careful with the glue during the application. Eye contact should be avoided as this may cause irritation and even conjunctivitis. When removing the fake eyelashes always clean your eyes with a gentle makeup remover. Those who are wearing glasses or contact lenses are free to use false eyelashes. The care and the quality of the product need to be the same for all women. In case of burning, itching, redness or other discomforts, it is recommended to remove the falsies immediately, wash the eyes with mineral or filtered water and if need go and seek the medical specialist help. There are other options, too! Use the make-up to your advantage. There are several tricks and tips that you can use in everyday life, favoring the strongest points and those you find more beautiful on your face. Besides the false eyelashes, there are other tools like the eyelash curlers. Some women have long eyelashes, but they are not curved enough. Using the eyelash curler and the eyelash mascara you can even dispense the false eyelashes.